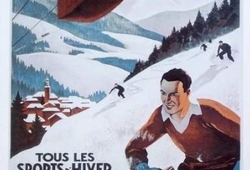 St Gervais les Bains, the only alpine spa resort in the Alps and just one of ten other spa towns across France, is a bustling 19th Century picturesque historical spa town and ski resort with traditional buildings and rich heritage. Found on the West side of the Mont Blanc Massif in the Haute Savoie region of France at an altitude of 810m, its similar architecture and views to that of Chamonix, the town is perfectly nestled in a stunning narrow river gorge at the foot of the highest mountain in Europe, Mont Blanc. 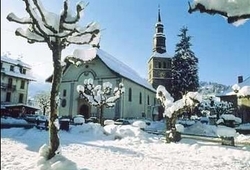 Popular since the 1800's, the town is split into four areas Le Fayet, Saint Nicholas de Veroce, Saint Gervais (town centre) and Le Bettex at the foot of the slopes. 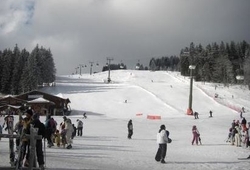 With its easy access to the third largest ski domain in France, the 445km tree lined Evasion Mont Blanc ski area, its historic 200 year old thermal baths and it being just a 60 minute drive from Geneva, make this the perfect place to own a second home. 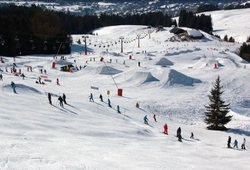 The Evasion Mont Blanc ski area, generally regarded as one of the greatest and most spectacular ski domains in the world that includes Megeve, Les Contamines, Combloux, Hauteluce, and La Gietaz, comprises two terrain parks, 209 runs, 107 ski lifts to a height of 2355m and a vertical drop of 1540m. 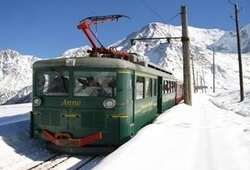 Suitable for beginners to experts, the Mont Blanc Tramway that runs from St Gervais to Les Houches in the Chamonix Valley offers a further 55km of skiable terrain that includes the World Cup Kandahar downhill run. 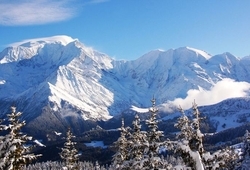 The same Mont Blanc Ski Pass also covers Chamonix and Courmeyeur in Italy, ensuring there is more than enough to keep second home owners entertained year after year.